Hispanic students at Cuyamaca College will soon see a significant boost in efforts aimed at guiding them toward obtaining certificates and degrees and transferring to four-year colleges and universities, thanks to a nearly $2.6-million, five-year federal grant. The grant is funded through the U.S. Department of Education’s Developing Hispanic-Serving Institutions Program, a program assisting Hispanic Serving Institutions such as Cuyamaca College to expand educational opportunities and improve academic achievement. Hispanic Serving Institutions are colleges or universities where Hispanics make up at least 25 percent of the school’s students and that have adopted strategies to help first-generation, low-income Latino students. Nearly one in three of the about 9,000 students at Cuyamaca College are Latino. Minimizing the time students spend in remedial classes that are known among academics as basic skills or developmental courses. Studies have shown that every added basic skills class a student is required to take reduces his or her chances of graduating. Expanding student support services for Hispanic students, including creating clear roadmaps detailing what a student must do to complete his or her educational goals. Professional development for all faculty and staff, including workshops and training that provide instructors with the latest research on best practices in student success strategies. The Pathway Academy is intended to help close the achievement gap between Hispanic students and other groups. The rate at which Hispanic students complete their courses at Cuyamaca College is 38.7 percent, 10 percent lower than the completion rate of other students. The effectiveness of the program will be measured through increased persistence, course completion, remedial progress rates and the numbers of students earning degrees and certificates and transferring to four-year colleges and universities. Thayer noted that the Pathway Academy builds upon a number of related efforts at Cuyamaca College that have been implemented in recent years, including the First Year Experience, a comprehensive program designed to assist and guide students through their first year in college. In September 2015, Grossmont College received a similar five-year federal grant for $2.62 million to fund a program aimed at helping Hispanic students succeed. The grant funds are being used to develop a program called Via Rápida, which assists with outreach, assessment and accelerated programs for Hispanic students. Cuyamaca College’s grant is the second major award provided to the college this year to boost student success. Cuyamaca secured a $1.5 million state grant in May that expands on the college’s innovative programs to dramatically reduce the remedial pipeline and better prepare students for college level coursework. The Basic Skills and Student Outcomes Transformation Program grant will enable Cuyamaca College to significantly reduce the number of students forced into remedial education courses. 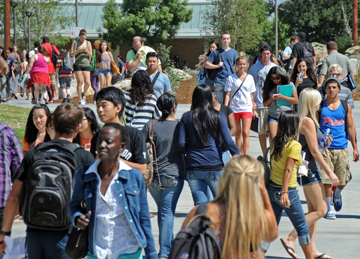 Cuyamaca College had already developed programs that are significantly reducing remedial education requirements in English, math, and ESL for certain groups of underprepared students and English-language learners, and those students are successfully completing college-level English and math courses at significantly higher rates and in much less time. 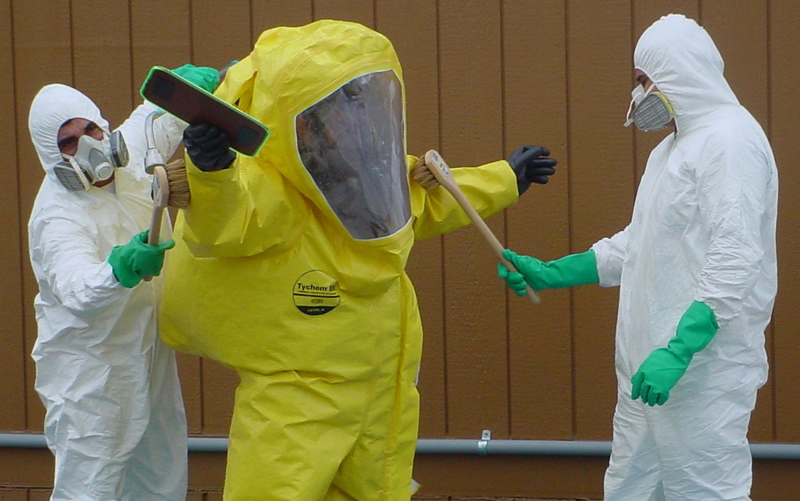 Earn HAZWOPER credentials and more. The San Diego Workforce Partnership has linked with the Grossmont-Cuyamaca Community College District to provide free training this fall for entry-level positions in the environmental health and safety field. Designated by the County and City of San Diego to receive state and federal funds to administer job training and employment programs throughout the region, the San Diego Workforce Partnership contracts directly with higher education institutions to fund training programs that are in demand by local employers and result in industry-recognized credentials. 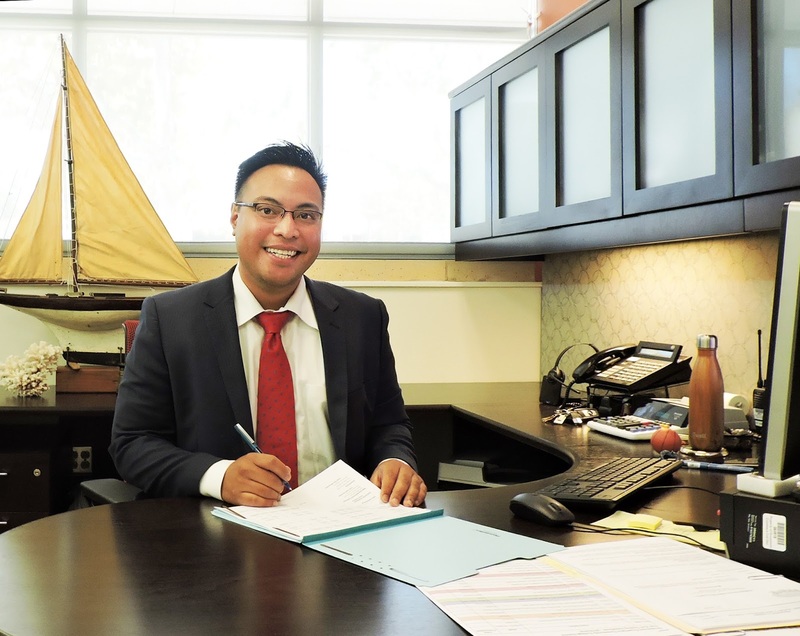 As Grossmont College’s senior leader in Administrative Services, Lorenze Legaspi’s job is to oversee the business end of operations at East County’s oldest community college. But the Bay Area native points out that beyond fiscal management and budgeting, the bottom line is serving students and ensuring that decisions are made with their success uppermost in mind. “I am an educator first – an educator who happens to be good with numbers and who understands the important role of budget and finance in student success,” said Legaspi, whose name is pronounced LOR-enz Le-GAS-pi. The new semester begins Aug. 22 for more than an anticipated 28,000 students at Grossmont and Cuyamaca colleges with a wealth of new class and program offerings at the two East County colleges. The two colleges are offering more than 2,400 class sections and for the first time in the college district’s 55-year history, both colleges will be offering baccalaureate-level classes on campus and online through a partnership with Point Loma Nazarene University.